We supply a range custom printed Balloons ready to be personalised with your design. 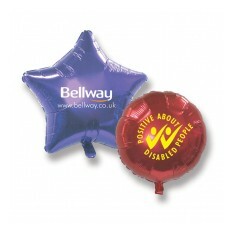 Promotional balloons are great way to attract attention and display your message. We also supply helium rental, valves and ribbons for our balloons. 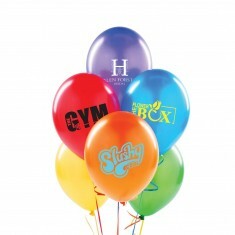 Customised balloons are an exceptional way to make your message fun and colourful. They can be either blown up by your customers as a competition or filled with helium to keep them bobbing around long after your exhibition is over. Personalised balloons are also incredibly versatile as they can be used at everything from company trade shows to decorate a stall to pub and hotel venues to celebrate a party or anniversary. Everybody loves to mess around with balloons, it’s never been easy to make your promotions entertaining to all. 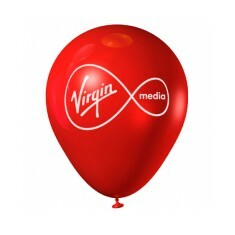 Here at MoJo, one of our favourite custom printed balloons is the 12” Round Balloon. Available in an magnificent array of colours and available with plenty of additional extra to help keep your promotion around, this is one of our most versatile in the range. 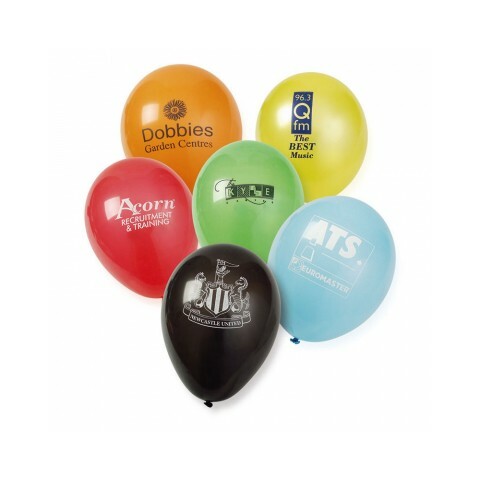 With your design branded to the balloon, they are fun to play with, a great decoration and sure to be seen bobbing above all the other promotions in your event. Give our sales team a call today and we can help you find the best balloon for your event. 10". Latex material. Can be printed to 1 or both sides. Quick delivery. Various colours available.